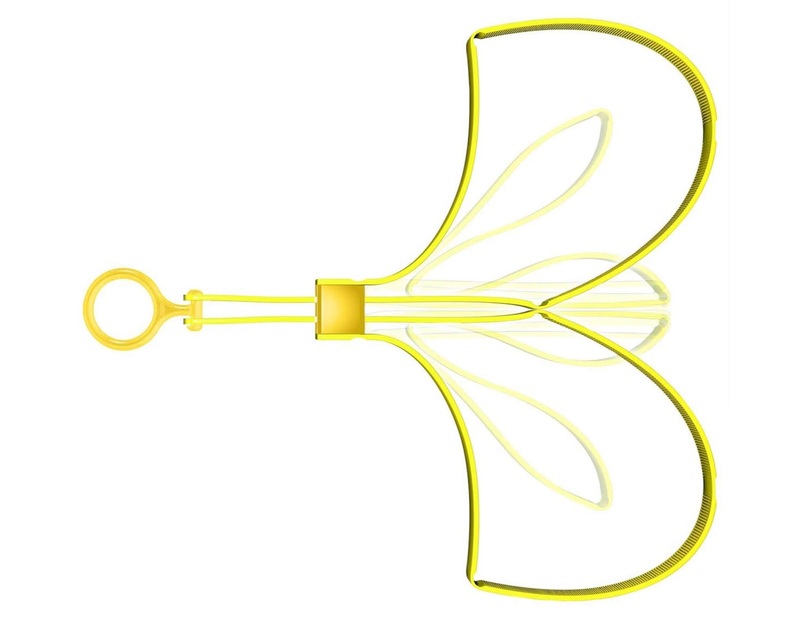 In another application that demonstrates trademarks can be more than just words or logos, a Wisconsin company called Armament Systems and Procedures, Inc. filed an application to register the color yellow as a trademark for "[n]onmetal hand restraints used as handcuffs" with the U.S. Patent and Trademark Office on November 10. The specimen of use submitted with the application is below. Can a color function as a trademark? Yes, if it is used in a manner that would be perceived as identifying and distinguishing the goods and to indicate their source (as opposed to mere decoration) and (1) the color mark has acquired distinctiveness and (2) the color is not functional. Color marks are never inherently distinctive. Wal-Mart Stores, Inc. v. Samara Bros., 529 U.S. 205, 211-12 (2000); TMEP 1202.05(a). Instead, an applicant must establish that its proposed color mark has acquired distinctiveness, or secondary meaning, in the marketplace. In other words, through substantial use of a color with particular goods or services, consumers have come to associate that color as identifying the source of the applicant's particular goods or services. An applicant can prove acquired distinctiveness by submitting evidence of the applicant's advertisement expenditures, sales figures, statements from the trade or the public, or other evidence indicating that the public associates the color with the applicant's goods or services. TMEP 1212.06. In the case of color marks, that's a different and high bar to meet. Registration of a color mark will also be refused if the color is functional. TMEP 1202.05(b). Generally, a color is functional if it "yields a utilitarian or functional advantage, for example, yellow or orange for safety signs." Id. Color marks might also be functional if the color is more economical to manufacture or use (such as a natural color resulting from a by-product of a manufacturing process, in which case forcing others to alter the process to create a different color would put others at a competitive disadvantage) or otherwise offers some unfair competitive advantage. See TMEP 1202.02(a)(vi) (discussing aesthetic functionality). Do you think a sufficient number of consumers would see yellow handcuffs and know they come from the applicant? Or would they simply see the color as a decorative feature? 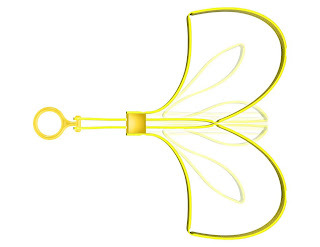 Does use of the color yellow on handcuffs offer any utilitarian or functional advantage? Armament Systems and Procedures will hope you answered "yes," "no," and "no" if they want this registration to issue. Side note - the specimen above appears to be digitally created. The USPTO will not accept a computer graphic that merely illustrates what the mark looks like as a specimen. TMEP 904.04(a). Therefore, Armament Systems and Procedures may need to submit a substitute specimen consisting of an actual photograph of the goods. Boston Dynamics Files Trademark Applications for "Humanoid Robots With Artificial Intelligence" and "Surveillance Robots"
Want a surveillance robot? A robot for "entertainment"? A "humanoid robot with artificial intelligence"? 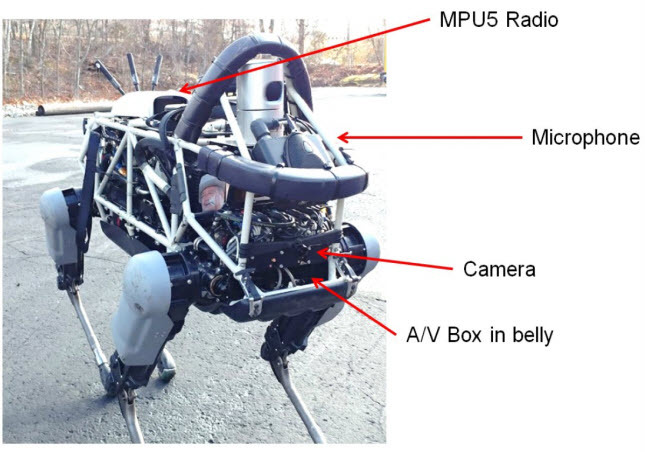 You may be able to purchase one named Spot, Handle, or Atlas from Boston-based Boston Dynamics soon, if recent federal trademark applications are any indication. Surveillance robots; robots for use in security, safety and inspection applications; robots for entertainment (Class 9). According to the application, the SPOT trademark is already in use (i.e., Boston Dynamics is using it in conjunction with the sale of the goods listed in the application). The photograph above is an excerpt from the specimen of use filed with the SPOT application. The application for HANDLE covers "[i]ndustrial robots for use in manufacturing, assembly and distribution applications; robots for loading and unloading pallets; industrial robots for use in logistics applications" in Class 7 while the application for ATLAS covers "[h]umanoid robots with artificial intelligence[.]" Those two trademarks are not yet in use, according to the applications, though the filing basis indicates Boston Dynamics has a bona fide intention to use those trademarks in the near future. The robotics company also filed an application for its name, BOSTON DYNAMICS, on the same day, which covers all the goods listed above, in addition to "[d]esign and development of robots; robotic engineering services" in Class 42. According to my quick search, these are the first federal trademark applications filed by Boston Dynamics, Inc.